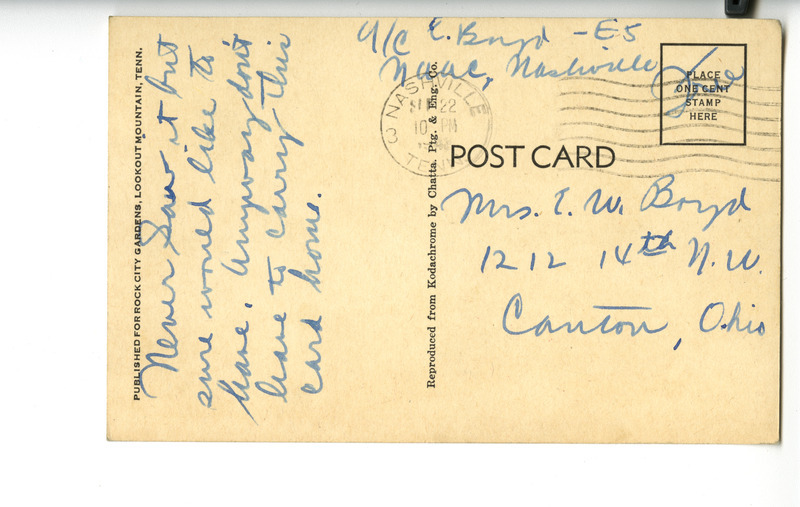 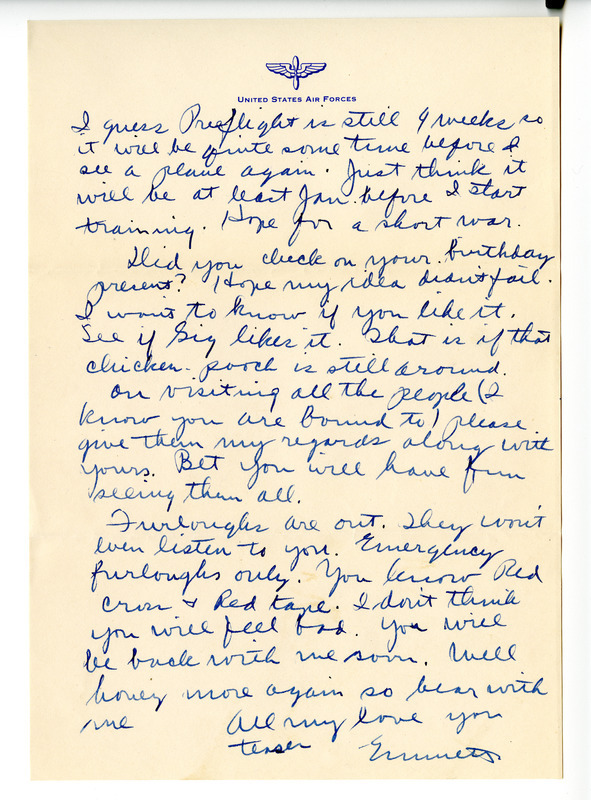 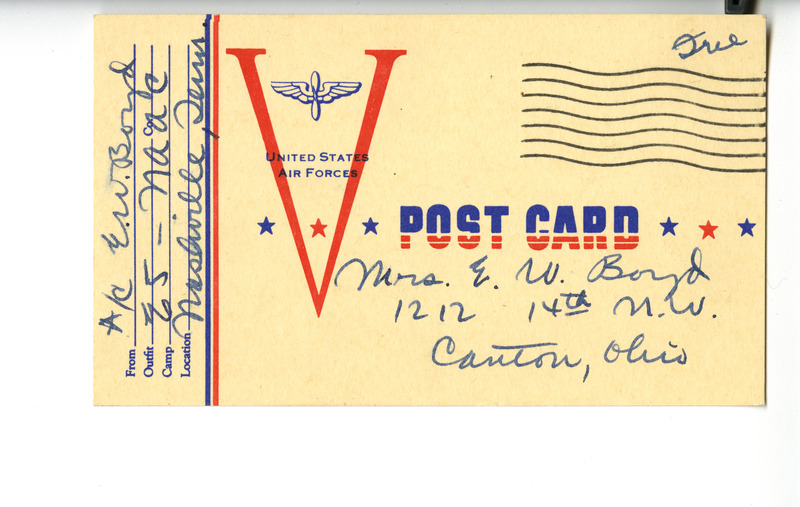 Emmett writes a from Nashville, Tennessee as he has moved from Florida to another base. He addresses beginning some new training and vaguely states that appearance of the base keeps him from having Jane come to stay. 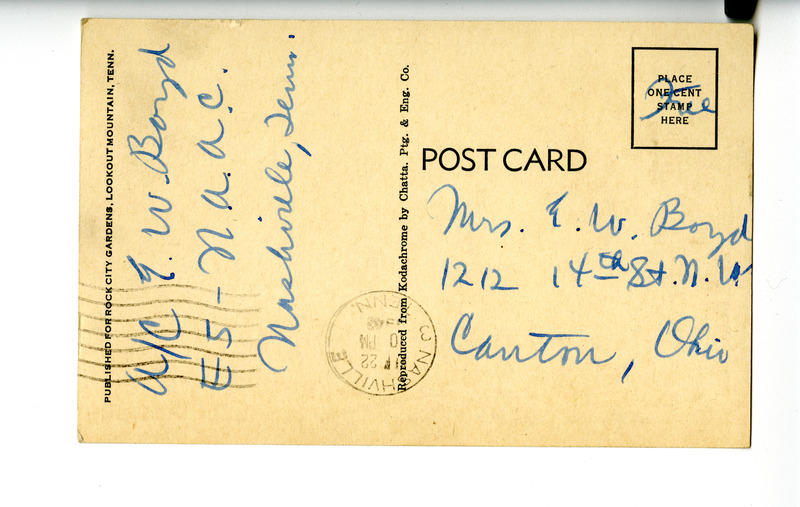 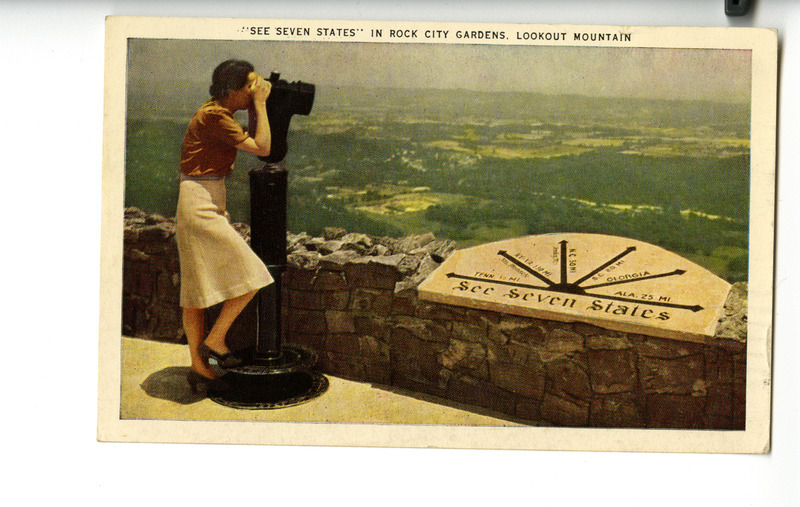 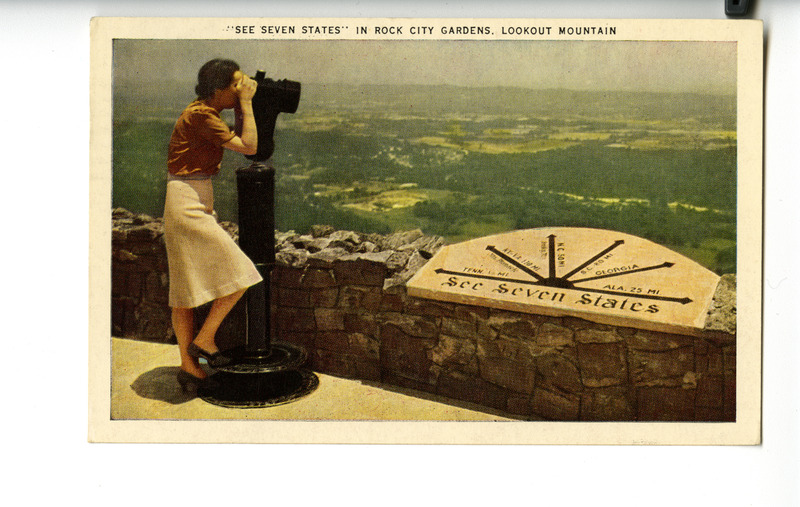 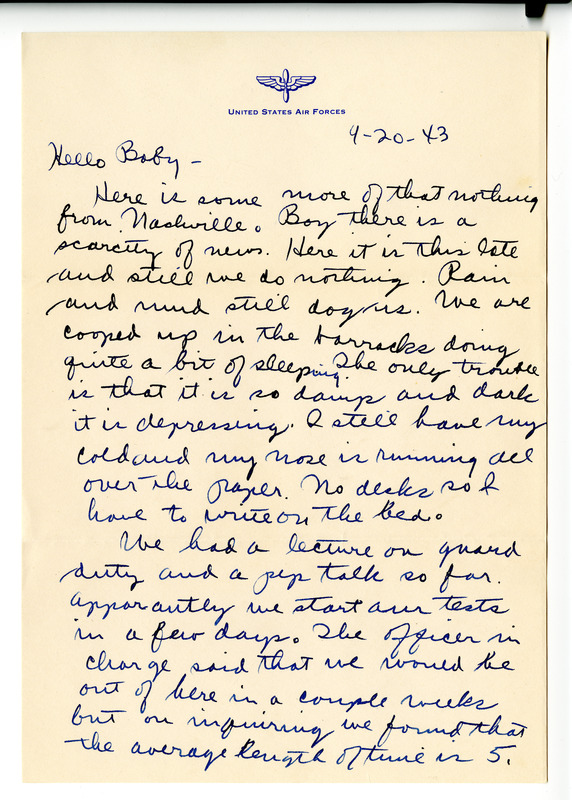 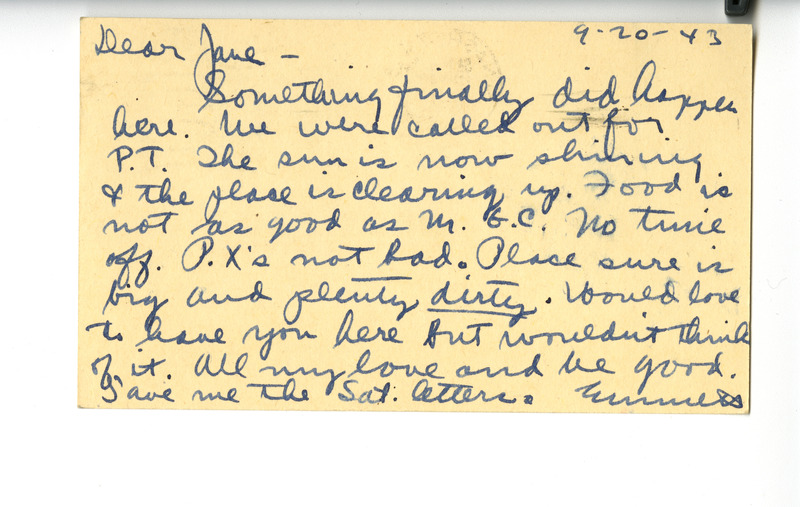 “Correspondence: Emmett [Boyd] to [Jane Boyd]: Sept. 20, 1943,” Meeting Jane and Emmett, accessed April 19, 2019, http://meetingjande.net/items/show/7.